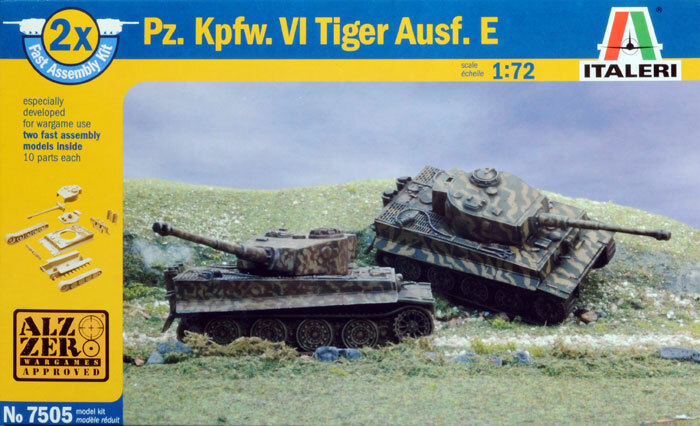 Media and Contents: Each kit comes with two complete models in an end-opening box with 12 plastic parts for each Panther and 10 for each Tiger, no decals and build instructions on the back of the box. Advantages: Minimum parts with reasonable detail and accuracy. Could also be used as starter kits for beginners. Disadvantages: Tracks not sitting on drive sprockets correctly (a minor quibble that will probably be ignored by the target customers). Recommendation: Highly Recommended for Wargamers and beginners alike. 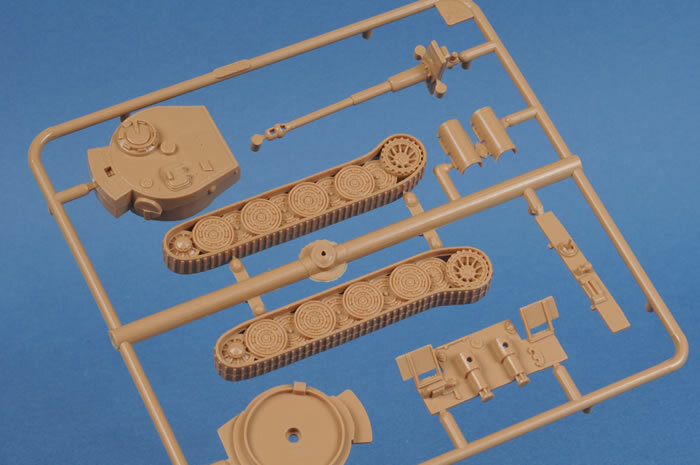 Over the last couple of years, Italeri has put extra parts in some of the 1/72nd scale Armour kits specifically for wargamers who want less detail but faster builds. 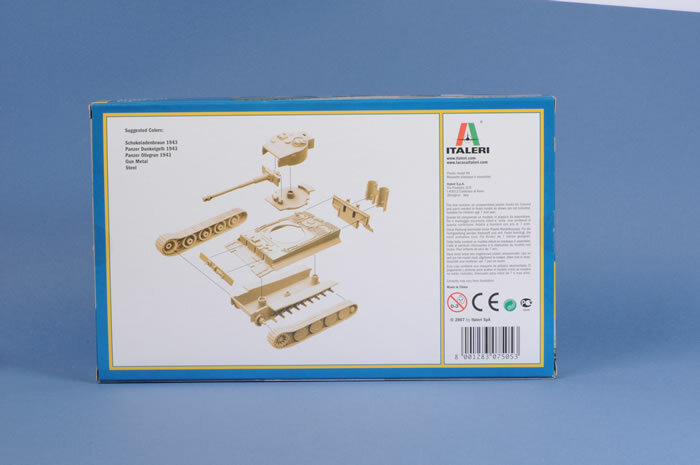 They have also produced a small number of “Fast Build” kits for those wargamers only. These come with 2 complete models in each box with a small parts count but surprisingly good detail. They don't come with any decals and the build instructions/colour recommendations on the box rear. The price is correspondingly cheaper. 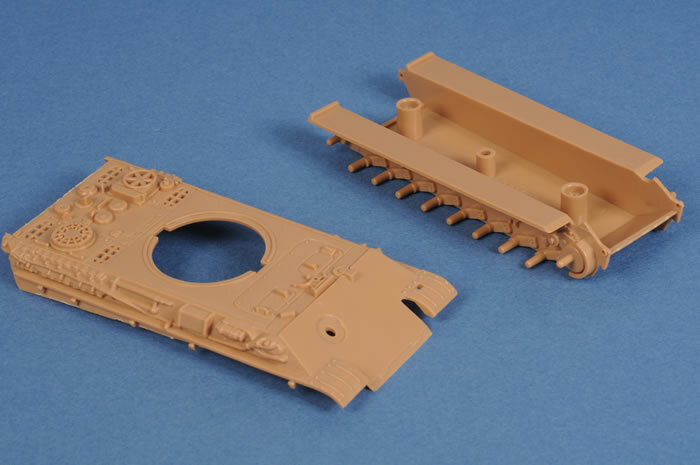 Each model comes with one sprue and the upper and lower hulls separate. 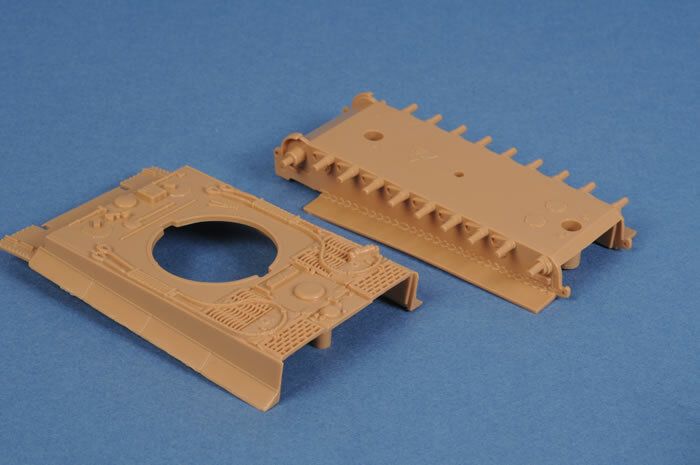 The sprue carries upper and lower turret, gun and mantlet, rear hull plate with one-piece exhausts, hull MG, head light and two one-piece track and running gear. The turret has all hatches closed and the mantlet and upper hull have the late model G characteristics including the crew heater on the engine deck and lip on the lower side of the gun mantlet. The running gear is reasonably detailed considering they are one-piece but there is no detail on the inside of the tracks and you can see the sprocket teeth all the way around the sprocket including where they should be inside the tracks. 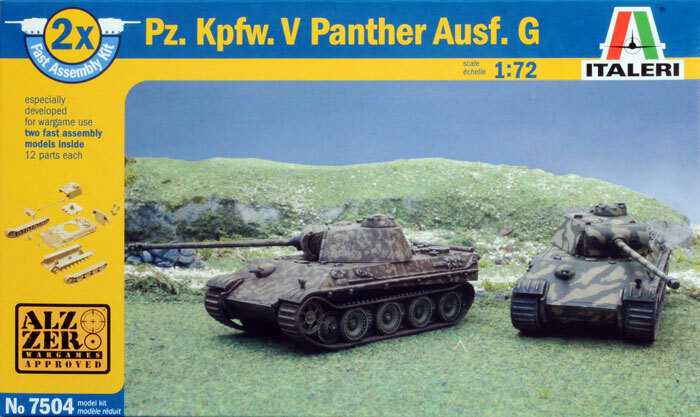 There is no Schuerzen (side armour plates) for the Panthers but the hanging rails are moulded on the hull sides and the plates could be modelled from plastic card if required. 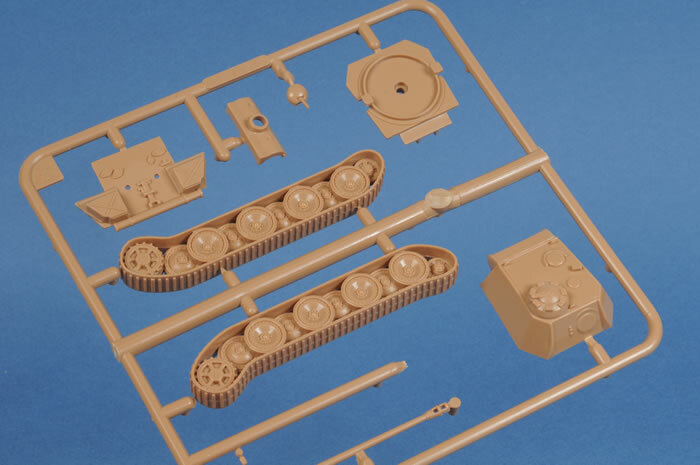 As with the Panther, there is one sprue with upper and lower hulls separate. Where the Panther had 12 parts for each model, the Tiger only gets 10 and the sprue carries upper and lower turret, one-piece gun and mantlet, upper glacis with hull MG and light moulded on, rear hull plate with exhausts moulded on but separate exhaust shrouds and 2 one-piece track and running gear. All the characteristics of the late Tigers are present and all the good and bad comments for the Panther apply to the Tigers as well. While reviewing an earlier “Fast build” kit, namely the Pak 40, I noticed that the plastic used did not react to plastic glue. This meant that the modeller/wargamer had to use either super glue or epoxy resin. 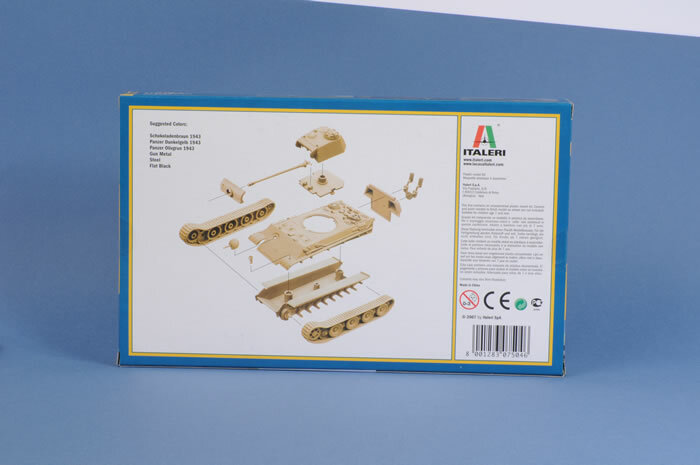 I am happy to report that these kits are made from Italeri's normal plastic and there is no problem using liquid plastic glues. While these kits are imed specificall at wargamers, they could be used as starter kits for beginners or as back-ground models in a diorama, or even for those who don't like building kits but enjoy painting them. No matter what your use for them is, they are going to be considerably cheaper then a normal static kit. Highly Recommended to wargamers and any one else who is interested.